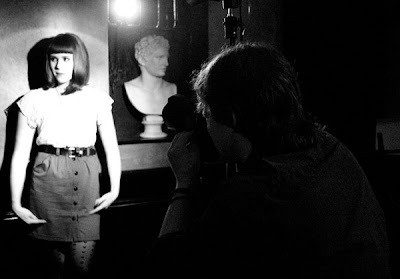 WWW.MICHAELWILLIAMS.CO.UK: Behind The Scenes; Kate Nash Shoot. 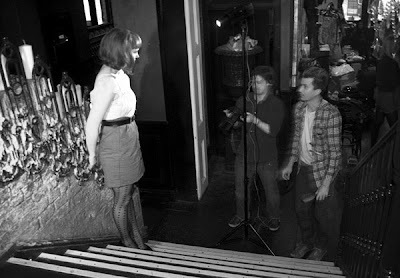 Behind The Scenes; Kate Nash Shoot. 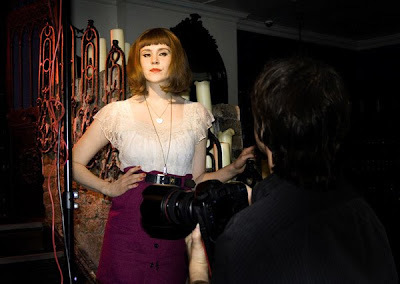 A look behind the scenes of the Kate Nash shoot I did in January. The shoot was done in a bar I hired in Covent Garden, London, and the crew was; Stylist Rebekah Roy, Hair by Corrado Tevere, Makeup by Claudine Henderson, and Photography Assistant was Clare Lewington (who also shot these candid behind the scenes photos). Kate & Hair Stylist Corrado discuss the look for the shoot. From left; Kate, Me, and Corrado. Discussing the portraits and directing Kate. Kate & I celebrate a successful shoot. Thank you to all involved, and to Kate who was brilliant, and a big thank you to Clare for the photos. I'll post the finished portraits too in the coming weeks.